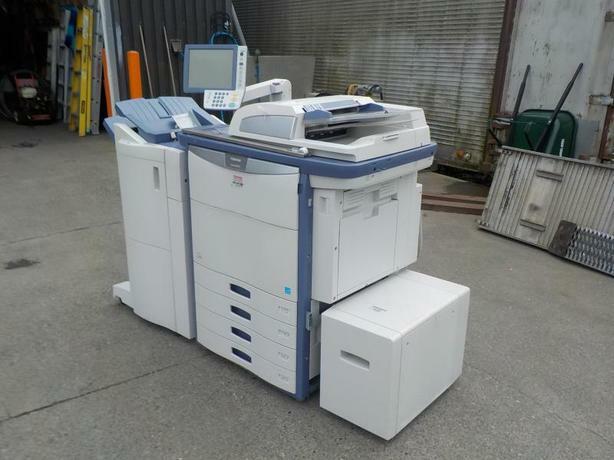 Toshiba Estudio 6550C Multifunctional Digital Colour Printer w/ Finisher and Large Capacity Feeder. Copy, Scan, Print, Fax, E-file. Total Copies: 724533 Black & White, 39469 Colour. Finisher Model # MJ-1103. Feeder Model # MP2501. $250.00 plus $300 conveyance fee, $550.00 total payment obligation before taxes. Listing Report. All above specifications and information is considered to be accurate but is not guaranteed. Call 604-522-REPO(7376) to confirm listing availability.